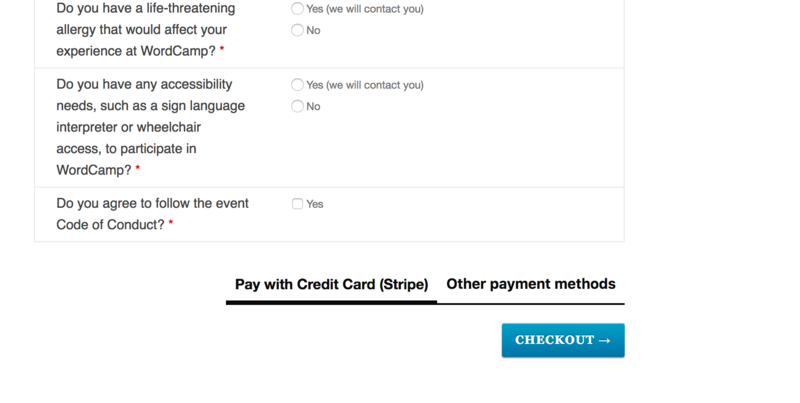 Stripe was made available to all WordCamps last week. As a continuation, the payment layout is now changing so that the Stripe payment option will be displayed more prominently, compared to other payment gateway providers. 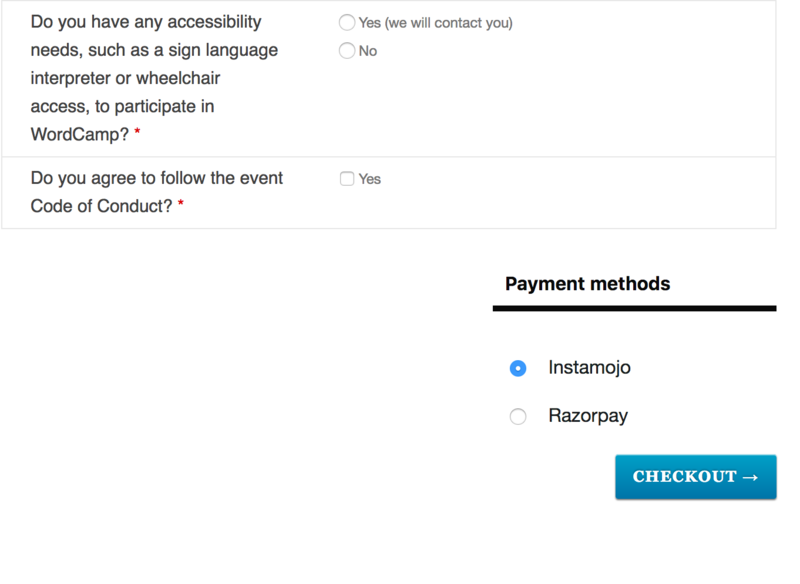 These payment layout changes will also make discovering other payment options easier, and is a UX improvement over the select box that we currently use. 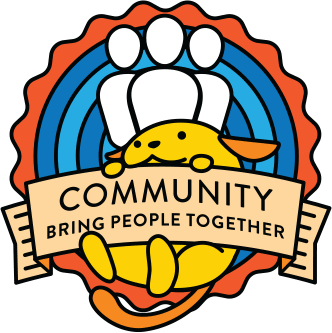 This change will not affect WordCamp sites that have already opened ticket sales — only future WordCamps and select existing WordCamp sites will be affected. 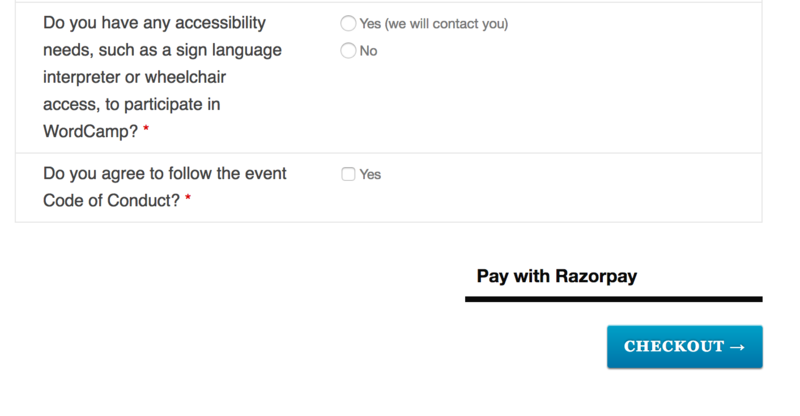 We will reach out to the organizing team before making any changes to sites that are currently selling tickets. If you notice any problems with Stripe transactions or other things in CampTix, please report them in the meta-wordcamp channel in WordPress Slack. This is great news. I hope countries like Brazil gets Stripe working soon because the current payment gateway is terrible. 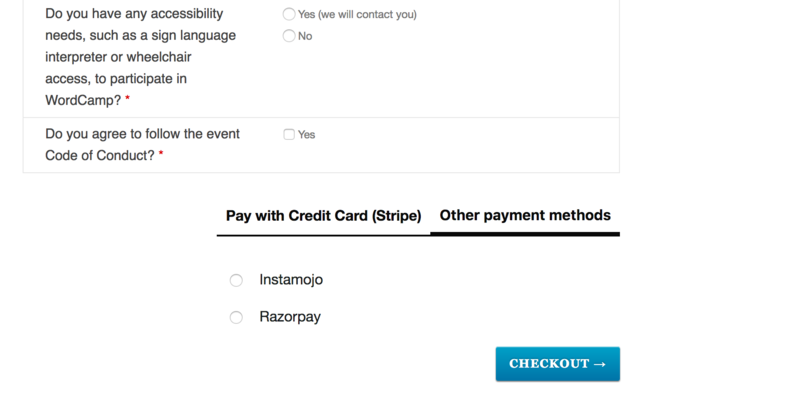 @emanweb the Stripe payment gateway on WordCamp.org already supports BRL, so any WordCamp in Brazil should be able to enable the payment method and start using it immediately. A really big Thank You to @karmatosed for help with the improved design!